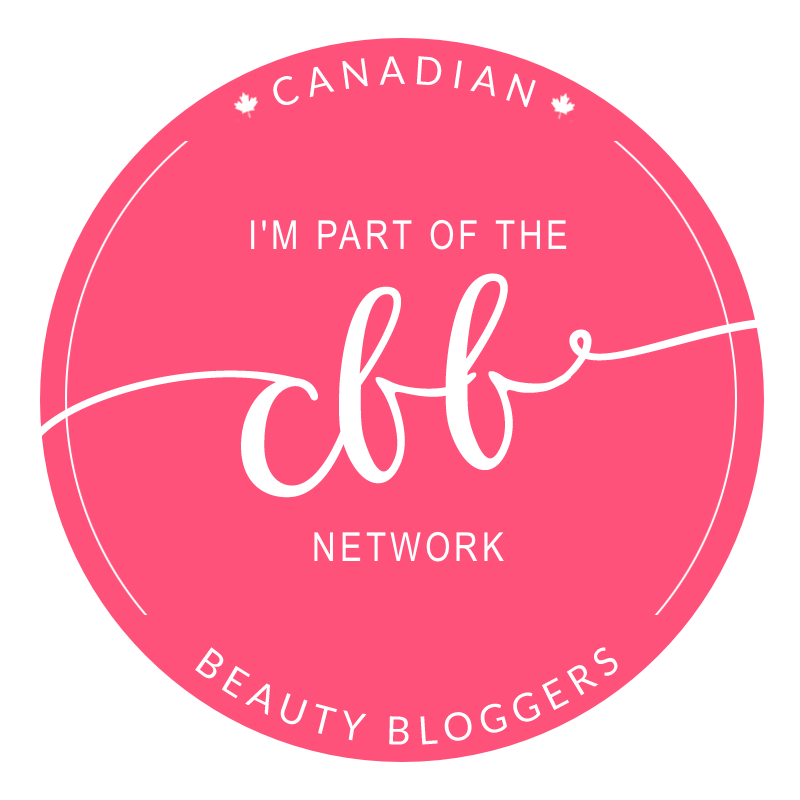 One of my favourite parts of blogging is learning directly from the experts – especially when it involves personalized skincare tips! 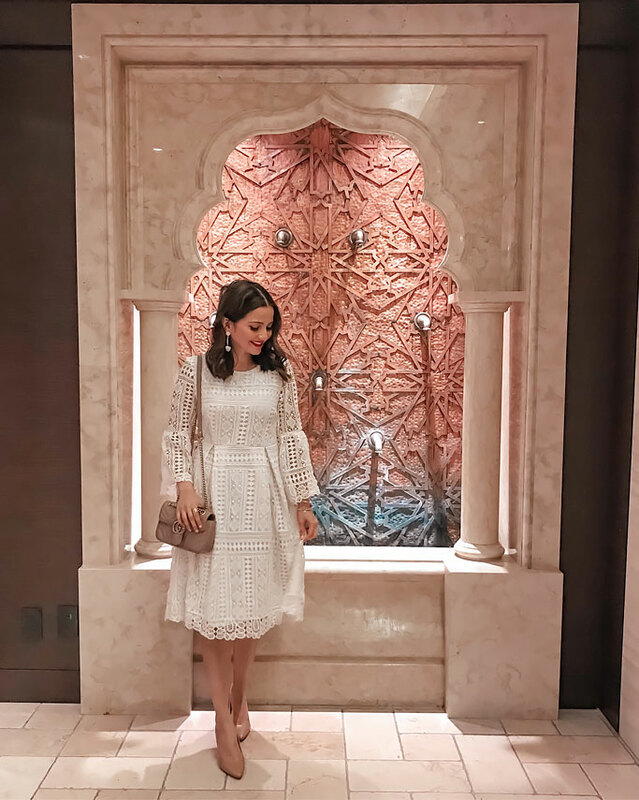 This past week I had the opportunity to attend THREE very different skincare events – and left with some amazing advice that I wanted to share with you guys. From how to have your skin analyzed under a video microscope for free, to the basic skincare routine you should be following – click through to read up on what I learned. My week started with a visit to the Shangri-La Hotel, Toronto for a facial at the Miraj Hammam Spa. As soon as you step in, you feel as if you’ve left Canada and traveled to Morocco. From the ornate marble and tiled decor to the soothing cups of mint tea, the relaxed atmosphere feels like a treatment in itself! 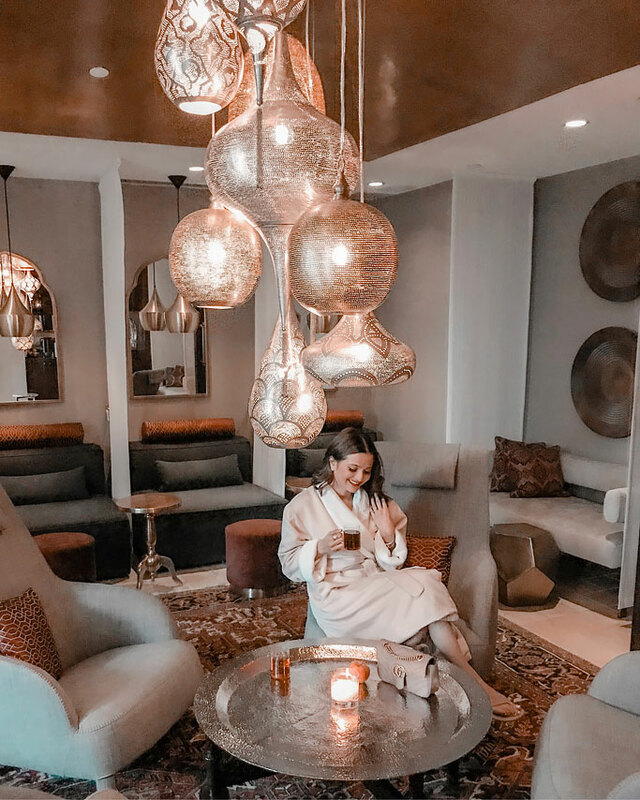 After changing in to my robe, I was taken into an jewel-toned room with wooden lattice screens for my Vinopure facial. My facialist asked about my current skincare routine, and wanted to know whether I preferred the focus to be on extractions or facial massage. The Vinopure facial uses Caudalie products to detox oily and acneic skin, applying cryo rollers to tighten the skin and lymphatic drainage massage to remove toxins. As a relaxing extra – while your face is being steamed or masked, you also get treated to scalp, arm and leg massages – this felt heavenly! After the facial, my skin was clear and glowing – and my undereye darkness had completely disappeared. I felt so happy with my skin – I even shared a makeup-free selfie on my insta-stories (that never happens) and made my way back home on the train without reapplying any foundation or concealer! One week post-facial, I can still see and feel the effects. My face feels lifted (thanks to the lymphatic drainage massage) and my skin is bright and smooth. SKINCARE TIPS TAKEAWAY: Try to budget for monthly or bi-monthly facials. I have a lot of DIY spa tools at home (facial steamer, clay masks and exfoliators) but while these are good for at-home maintenance, they can’t come close to the results you get at the hands of an expert. 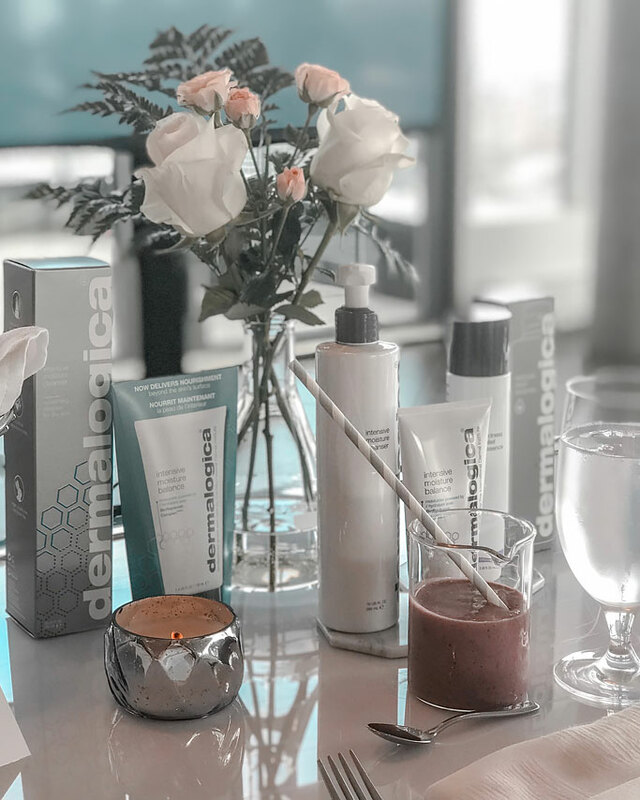 My second event of the week was with Dermalogica. They introduced the Intensive Moisture Line (pictured below), which heals dry skin by promoting a healthy lipid barrier, so that moisture stays in and irritants are blocked out. The presentation was followed by a personalized Face Fit skin analysis with a Dermalogica expert. During my consultation, I learned that I had been making a BIG skincare mistake… I had been washing my face with glycerin soap, which is a huge no-no! I use glycerin soap to remove my longwear lip products – and since it is so effective at dissolving makeup – I started using it on the rest of my face too. Apparently this is a BAD idea because soap changes your skin’s pH balance and makes it more alkaline. This strips the skin of its natural moisture barrier – which in turn leads to dry skin and breakouts. In my head I thought – glycerin is moisturizing, so it shouldn’t be a problem…but it’s true, my skin had been feeling tighter and drier over time! After analyzing my skin, my Face Fit consultant recommended four Dermalogica products to integrate in to my routine. The PR company kindly sent these over after the event – and I’ve been loving them so far! Special Cleansing Gel – a gentle cleanser that thoroughly cleans without stripping the skin’s natural moisture. I use this after my Clinique Take the Day Off balm – I only need the tiniest amount mixed with water – it smells so good and is so gentle yet effective. Daily Microfoliant – One of Dermalogica’s most popular products – I was told to use this gentle exfoliator every night to prevent clogged pores. This is a rice-based powder with Salicylic Acid and enzymes to polish the skin, and colloidal oatmeal to soothe the skin. This product has helped maintain the softness of my post-facial skin. Oil-Free Matte SPF 30 – I’ll admit, I’ve been guilty of skipping sunscreen. When my skin is broken out and painful, I try to minimize the number of products I apply…but this is a step I should NEVER skip. Since this sunscreen was specifically designed for oily, acne-prone skin, I’m comfortable including it in my daily routine. Overnight Clearing Gel – This spot treatment targets clogged pores using Salicylic Acid and Tea Tree Oil. I haven’t had a chance to use this yet at my dermatologist recently prescribed an antibiotic treatment gel for my skin – but I’ll definitely update here after I try this. SKINCARE TIPS TAKEAWAY: Be careful of what you add to your skincare routine – there are a lot of “Pinterest hacks” that can actually end up harming your skin (like glycerin soap as a face wash)! Also, don’t skip sunscreen just because you’re scared it will break you out…try multiple sunscreens until you find one that suits you – it will definitely be worth it! If you would like to have your skin assessed for free – arrange a meeting with a Shoppers Drug Mart Beauty Expert! They have several high-tech tools at their disposal – such as a moisture checker (which measures your skin’s hydration levels) and a video microscope (which magnifies your skin’s surface by 30x). After your assessment, your Beauty Expert can recommend products to add to your routine. 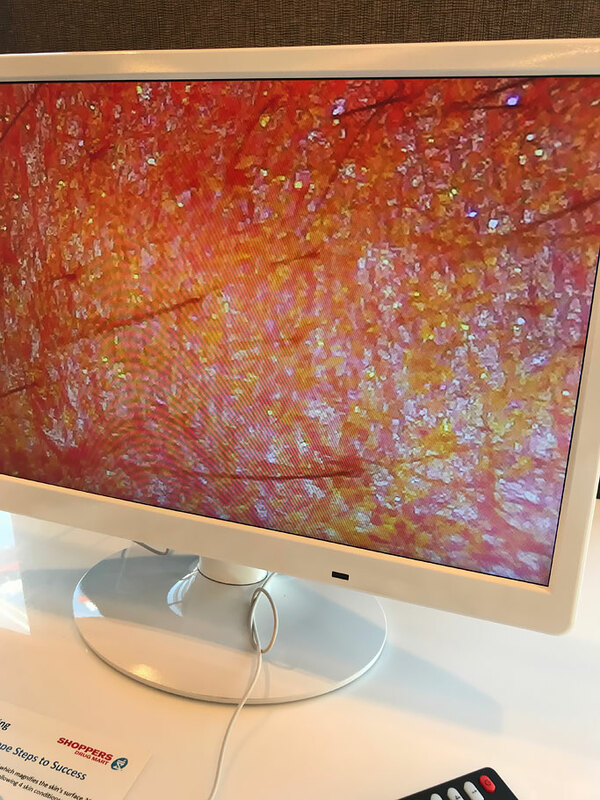 I was fascinated by the video microscope (pictured above) because you could closely examine your skin and clearly identify issues. In my case, my cheeks had pigmentation/scarring from acne and clogged pores. My forehead was clear but dehydrated, and my chin had redness from breakouts. 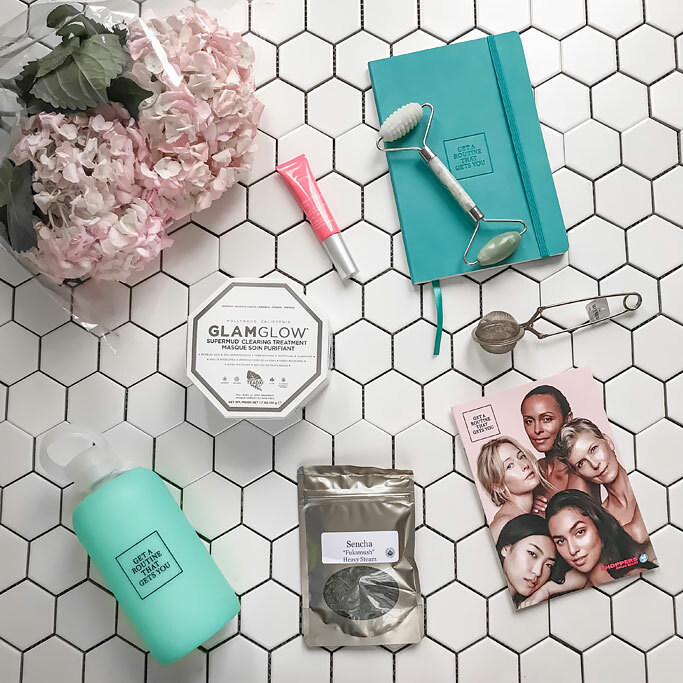 Glam Glow Supermud Clearing Treatment – I’ve purchased this before and although it’s pricey – it’s SO effective. The mask combines 6 acids and activated charcoal to draw out impurities from your skin. You can use it as a spot treatment overnight or as a weekly mask. Adding this to my routine should help address the clogged pores we viewed on my cheek. Clarins Mission Perfection Yeux SPF 15 – I’m going to start using this as my morning eye cream, as it targets any blue or brown undereye darkness, illuminates the whole eye area AND provides sun protection. I’ve never used SPF under my eyes (though I shade them with sunglasses) so I was happy to find this product! With regards to the forehead dryness we detected under the video microscope, I was advised to pay special attention to my forehead when exfoliating my face, so that moisturizing treatments would absorb better. Shoppers Drug Mart also sent me home with a huge bag full of products to try – including a journal and silicone-covered glass water bottle, loose tea and tea strainer…and my favourite – a studded Jade Face Roller. I also got the chance to attend an amazing session on mindfulness and meditiation – I took notes and will be sharing some tips I learned in a future post! SKINCARE TIPS TAKEAWAY: Book a free skincare consultation with a Beauty Expert for a close-up analysis of your skin – it’s so helpful to have an in-depth look at your different zones. You can also discuss your current skincare routine – and get product recommendations to address any skincare concerns. I hope your skin feels fabulous in 2019! Have you learned any great skincare tips recently – please share them in the comments! I would love to get my skin video microscoped! Do they do it at all the Shoppers Locations? Yes, Cristina, I believe most Shoppers with a Beauty Boutique will have this service.